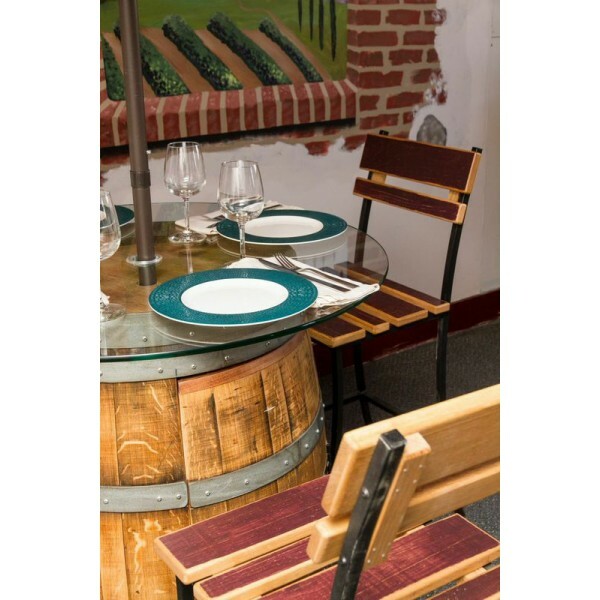 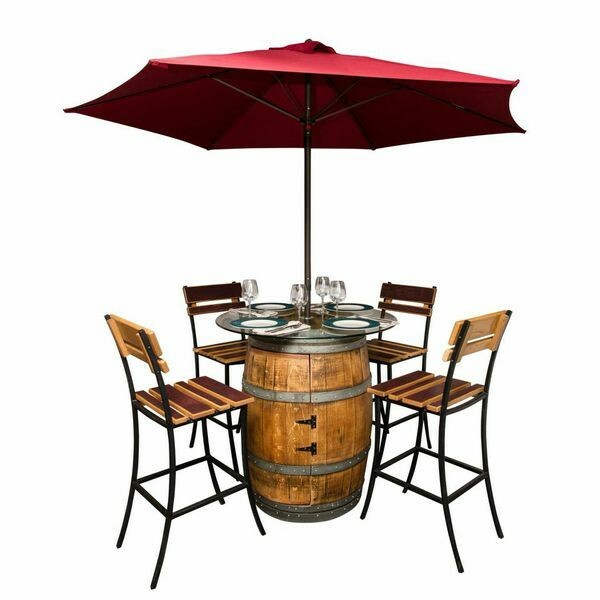 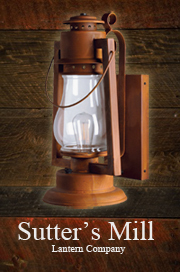 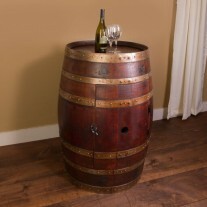 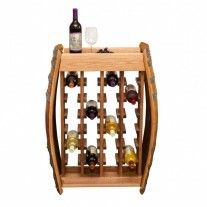 Sonoma Outdoor Patio Set is created with a preserved retired wine barrel cabinet. 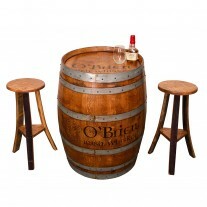 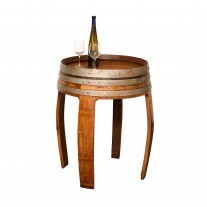 Umbrella base with 4 hand worked metal stools with seats made from retired wine barrels. 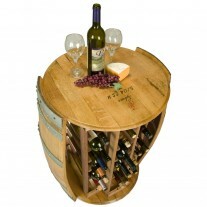 36" by 3/8" thick round glass top. Set comes with a 7.5' market umbrella. 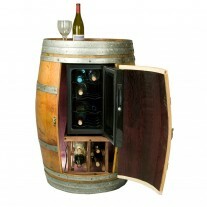 What a wonderful way to spend evenings outdoors enjoying some wine with friends. 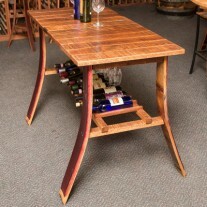 Glass top: 36" long by 36" wide by 4" thick - 64 lbs. 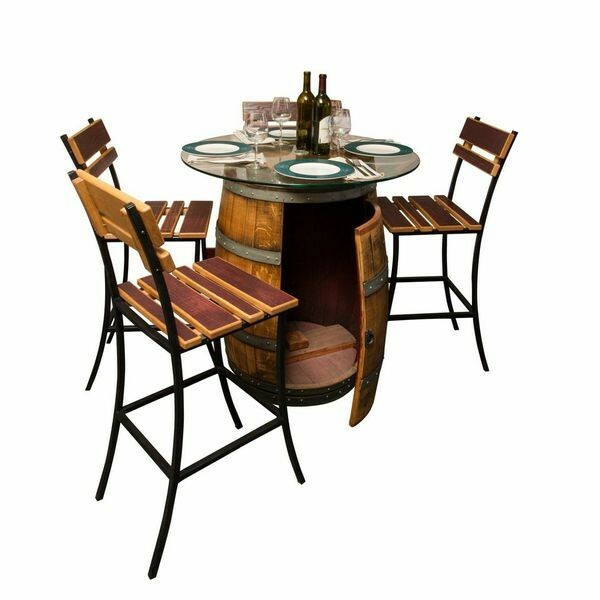 Beautiful and practical outdoor dinning set. 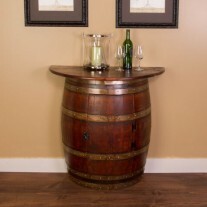 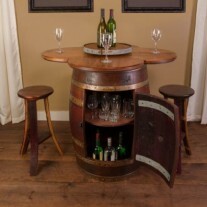 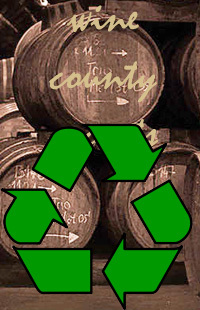 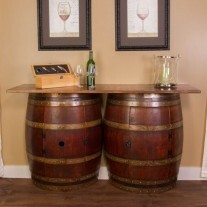 Created with a preserved retired wine barrel cabinet. 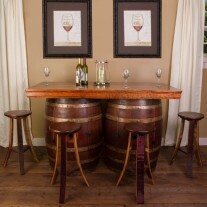 Umbrella base with 4 hand worked metal stools with seats made from retired wine barrels. 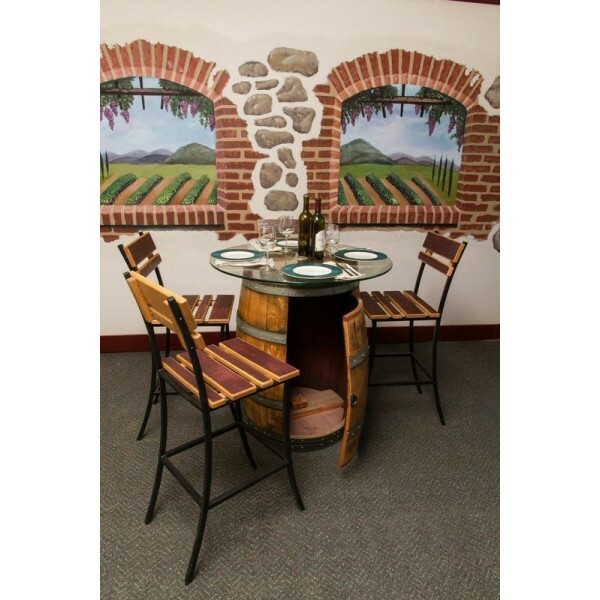 36" by 3/8" thick round glass top. 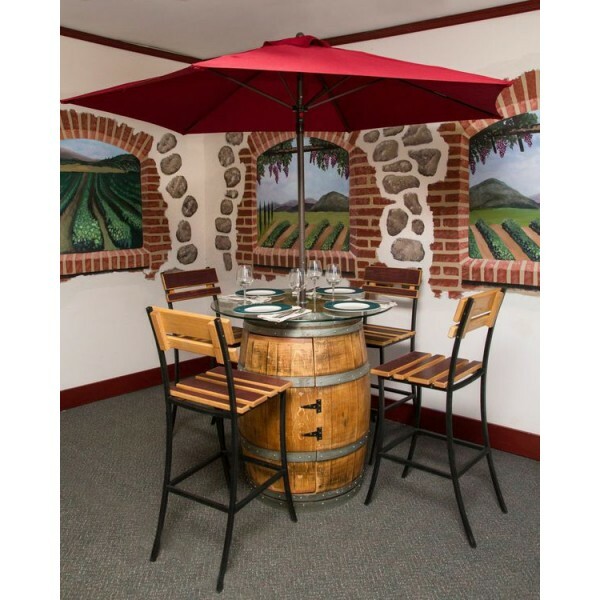 Set comes with a 7.5' market umbrella. 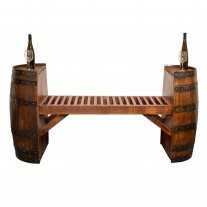 What a wonderful way to spend evenings outdoors enjoying some wine with friends.